Our Hygienist provides a range of treatment to Improve and maintain the health of gums. This includes scaling of the teeth to remove any hardened plaque (tartar), brushing advice, diet advice and demonstrations for appropriate methods and products to clean between the teeth. Treatments can vary from simple routine maintenance appointments to a more in depth treatment to treat cases of gum disease. Gum disease is a very common condition where the gums become swollen, sore or infected. 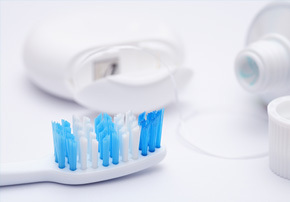 Most adults in the UK have gum disease to some degree and most people experience it at least once.If you have gum disease, your gums may bleed when you brush your teeth and you may have bad breath. This early stage of gum disease is known as gingivitis. If gingivitis isn’t treated, a condition called periodontitis can develop. This affects more tissues that support teeth and hold them in place.If periodontitis isn’t treated, the bone in your jaw may be damaged and small spaces can open up between the gum and teeth. Your teeth can become loose and may eventually fall out. It’s important to have regular dental check-ups so any problems with your teeth and gums can be detected and treated early. It is important to visit the dental hygienist if your dentist recommends it. Factors that increase the speed of the disease process include : Smoking, diabetes, medication that causes dry mouth and if you are genetically susceptible.